The three most likely causes of chest pain with cause can kill you, and two within minutes of getting the symptoms. The expert source for this article about the causes of chest pain that is accompanied by a cough is John A. Elefteriades, MD, William W.L. Glenn Professor of Surgery, and Director, Aortic Institute at Yale-New Haven, New Haven, CT. If you suddenly develop a cough along with pain in your chest, this probably means one of three life-threatening conditions. Now, when you first develop signs of pneumonia, your life is not in immediate danger, but you will need to seek medical treatment. Untreated, pneumonia can be fatal. A heart attack speaks for itself. This event can cause chest pain, of course, but also a cough (along with pain in the jaw, neck, arm, shoulder or back, sweating, nausea, vomiting and/or shortness of breath). Get to the ER as soon as possible for evaluation). This has striking risk factors that don’t just occur out of the blue. A pulmonary embolism is a blood clot in the lung, that originates from what is called a deep vein thrombosis. A DVT usually develops in the lower extremities, but a DVT can also occur in the upper extremities. Risk factors for a DVT/pulmonary embolism include prolonged periods of bed rest, sitting still on long airline flights or car rides, surgery, dehydration, elderly age, smoking and excess body fat. However, no adult is immune to a DVT/PE. Tennis champion Serena Williams, even, was treated for a pulmonary embolism (her biggest risk factors are believed to have been prolonged bed rest and a long airline flight following foot surgery). The coughing that results from a pulmonary embolism typically comes with blood and sputum. Other signs of a pulmonary embolism include clammy or blue-tinged skin, excessive sweating, unilateral leg swelling, lightheadedness, fainting and rapid/weak heartbeat. In the ER, the first things that a doctor will check for is the possibility you had, or are having, a heart attack or pulmonary embolism. The imaging involved in checking for these will reveal an aneurysm if this is the cause—and it would be a thoracic aortic aneurysm—an abnormally enlarged portion of the aorta, the body’s largest blood vessel. Chest pain with a cough can also be caused by esophageal cancer. Formerly the chief of cardiothoracic surgery at Yale University and Yale New-Haven Hospital, Dr. Elefteriades is working on identifying the genetic mutations responsible for thoracic aortic aneurysms. He is the author of over 400 scientific publications on a wide range of cardiac and thoracic topics. 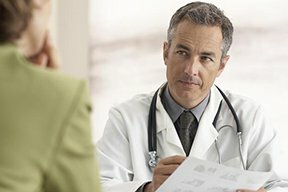 Can Severe Persistent Chest Pain Be Caused by Cancer? Piercing, Stabbing Chest Pain Causes: Get to ER Stat!